It was developed in 2003 for the Proteus spacecraft platform, and was adopted by more than twenty different projects and platforms in and outside CNES (Pléiades, Calipso, Corot, Jason, Smos, Elisa, Parasol, Picard, Galileo, IASI, Doris, SpaceBus 4000, Iridium, Sentinel-3, Exomars to name only the most well-known). PrestoDecom can extract physical telemetry parameter values into either human-readable ASCII files, or export them towards Microsoft Excel® or PrestoPlot®. Among its greatest strengths are its ease of use and user-friendliness, gained through years of experience and feedback from its user community. Moreover, its inclusion in the control centres for the Proteus, Myriade, Pléiades and Galileo platforms and its use during IVQ for spacecrafts based on the Proteus platform are a pledge to its maturity. The current version is PrestoDecom 19.03. The next version of PrestoDecom is not yet planned. PrestoDecom offers highly optimized extraction of parameters from standalone telemetry archives, supporting a wealth of platforms and telemetry formats. 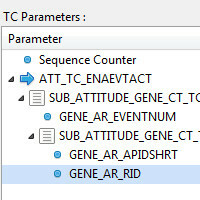 Its user-friendly graphical interface lets the user navigate the Satellite DataBase (SDB) packets and all their parameters to select only those that need be extracted. 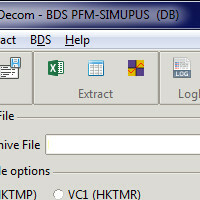 PrestoDecom also retrieves from the SDB and handles transfer functions, computation of ground-computed parameters, significant condition, and alarms. PrestoDecom allows extraction of telemetry parameters for analysis directly towards Microsoft Excel®, PrestoPlot®, or in raw text format. Analysis can begin straight away as PrestoDecom handles both extracting the data and opening the preferred viewer afterwards. 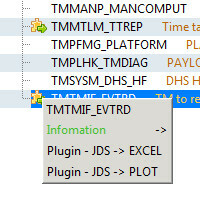 PrestoDecom can be extended through plugins. Plugins may add handling of new archive formats, special processing for specific APIDs, support for new extraction formats, and much more. 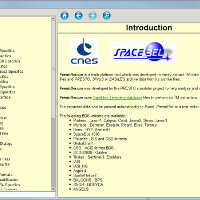 PrestoDecom includes a comprehensive user manual that is directly accessible from the software interface. PrestoDecom comes with libraries allowing encoding features like encoding telecommands. Which operating systems does PrestoDecom run on ? PrestoDecom should also run fine on other Windows and Linux versions. Why does PrestoDecom fail to start on my 64bits Linux machine ? PrestoDecom is a 32-bits binary and thus requires 32-bits libraries to run. Such libraries are generally available as compatibility libraries for Linux 64-bits systems. In order to install them, please contact your system administrator. Why can't I run PrestoDecom on a headless Linux machine if I'm only using batch mode ? Since PrestoDecom uses Tk, it requires the X11 libraries to run, and a working X11 display. This is still the case even in batch mode. Upon start, PrestoDecom unpacks and loads some internal libraries into $TMPDIR (/tmp by default). If $TMPDIR is mounted with the noexec option (execution of binaries is forbidden), those libraries will fail to load.